Next time you really feel like getting in that “New York State of Mind,” just organize your playlist to include only NYC-centric songs. 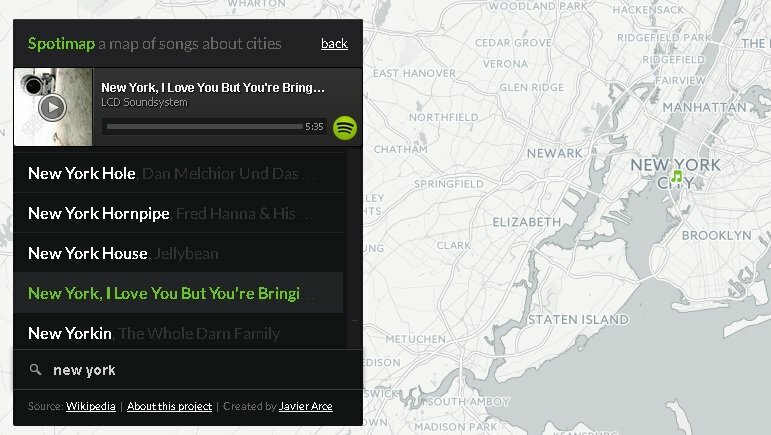 This would normally be an arduous task, but thanks to a new Spotify-based mapping program called Spotimap, you can sort and stream music relevant to a specific city simply by clicking on it, marked by a green musical note, on a map. As CityLab reports, once a user clicks a city, a list of songs about that place will pop up based on this highly detailed Wikipedia list. For New York, the map offers 2,707 songs about the city, sorted in alphabetical order. 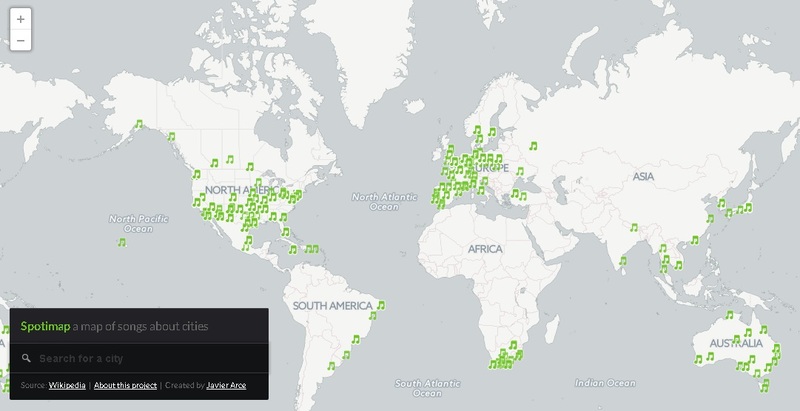 In total, Spotimap has 7,692 songs for 212 cities. Interestingly, Chicago, Atlanta, Boston, Los Angeles, and Detroit have little to no songs, but Javier Arce, the coder/cartographer behind the project, is in the process of uploading them.